La Mondotte puts elegance and balance on full display in 2018. While Clos Fourtet seemingly hums along, owner Matthieu Cuvelier is nonetheless making some tweaks behind the scenes. Ten percent of the vineyard base here now lies fallow—no small number when you have only 49 acres. In addition, new vats have been brought in to help with smaller vinification lots as the parcels are broken down into finer and finer details. The winemaking team is playing with a couple of amphorae. And for Les Grandes Murailles, Stéphane Derenoncourt and Jean-Claude Berrouet are now the consulting duo, replacing Michel Rolland who still works with Cuvelier on Côte de Baleau. "The microclimate of the Right Bank was perfect in '18," jokes Cuvelier after I tell him he's my first stop on the Right Bank this year. Alas, mildew pressure was an issue here as well—there was no escaping it. "But after the mildew, there was no hydric stress during the dry summer," he says. "We could choose the date to pick, at each property and in each parcel. It was two extremes. The result you can see for yourself." The 2018 Côte de Baleau St.-Emilion (90/10 Merlot and Cabernet Franc) offers a warm and fleshy core of plum and cherry preserve flavors, with a subtle but building chalky minerality through the finish. The pure Merlot 2018 Château Les Grandes Murailles is dreamy, with a focused beam of plum sauce and bitter cherry flavors that are purer and racier than the Baleau, all buttressed by very fine minerality that runs from start to finish. At Clos Fourtet, yields were a decent 2.4 tons per acre, a noticeable step up from the 1.8 tons per acre at Baleau. "We started biodynamics at Clos Fourter earlier, and so I think the vineyard is a little better balanced at this point than Baleau," says Cuvelier. "But there is really no way to know for sure." The 2018 Clos Fourtet St.-Emilion grand vin is intense, ripe and layered, yet remains supple and alluring in feel, with anise and chalky minerality infusing the core of beguiling dark plum and boysenberry flavors. Cuvelier's Left Bank estate of Poujeaux has turned in a fine value in 2018, ripe and succulent, with cassis and tobacco notes backed by a pretty echo or warm earth through the finish. There aren't many Left and Right Bank châteaus under the same ownership and winemaker, so I was curious to get Nicolas Audebert's read on the vintage when I arrivde at Château Canon. "The date of mildew pressure was different: The Right Bank was finished with it earlier than the Left Bank, by a couple of weeks," says Audebert of the viticultural fight that defined the 2018 vintage. "You have biodynamic, organic, conventional farming, and all had problems in '18. The pressure was incredible. You had to be in your vineyard every day, no exaggeration. If you took off on Friday and came back Monday, you would be behind big time. And you can't catch up by just spraying more, whatever you're spraying. If you didn't make the spray at the right time, you were in big trouble." The 2018 Château Canon St.-Emilion is tightly focused, very fresh in feel, with its minerality at both the start and the finish, rather than just peeking through at the end. The fruit is all seduction, with plum and licorice notes draping over the minerality with a cashmere feel. The 2018 Château Berliquet St.-Emilion continues the evolution here since the estate changed hands in 2016, with solid focus and depth and a slightly more floral profile than the Canon. Audebert opened many eyes with his unencumbered approach for Château Canon, beginning with the 2015 vintage. I have been wondering if the same might happen at the Margaux property of Rauzan-Ségla (another of Canon's sister properties, all owned by the Wertheimer family of Chanel). The answer is a resounding yes in 2018 (though if you note my 2016 review, it has been ticking up). The 2018 Rauzan-Ségla Margaux offers a very pure profile of plum and cassis, with that cashmere feel yet extra flashes of woodspice, lilac and incense swirling through as well. It's almost weightless in feel—a rarity for a young Bordeaux. As dramatic as the shift was at Canon a couple vintages back, this is just as eye-opening. Rauzan-Ségla will be one of the rabbits to chase this en primeur season. With his dedication to organic growing now well-established, I wanted to see how Count Stephan von Neipperg's vineyards handled the mildew assault of 2018. They weren't spared, but there was this little nugget: "At La Mondotte, we got the highest yields we have ever gotten in '18," Neipperg says. "We got [2.9 tons per acre]! At La Mondotte! (The site is historically low-yielding.) And this was the worst year I have ever seen for mildew." "The end in '18 was the best part. You could do what you wanted—pick Sept. 10 or Sept. 20 or Sept. 30," he says. "You could make a fresh style, you could make a big style. We harvested slowly, plot by plot, but everything in just two weeks, circling the vineyards like an eagle and taking what we wanted when we wanted." The result is yet again another portfolio of classically styled wines that showcase beams of pure fruit against a backdrop of fine minerality, with an emphasis on elegance and balance. The 2018 La Mondotte St.-Emilion is the fullest display, with gorgeous boysenberry and plum fruit lined with light floral and chalky mineral notes and a long, long, long finish. The 2018 Château Canon-La Gaffelière St.-Emilion is as blue-chip as it gets (the 2015 was Wine Spectator's No. 2 wine of 2018), offering a layered and lush feel that stays racy, with cassis and cherry preserve notes that glide through a refined, mineral-tinged finish. The 2018 Clos de l'Oratoire St.-Emilion has a solid core of plum and black currant fruit with a nice swath of tobacco at the end. The workhorse 2018 Château d'Aiguilhe Castillon Côtes de Bordeaux is one of Bordeaux's best values, a twenty-something-dollar bottling that captures the house style of pure cherry, plum and anise notes all inlaid with sparkly acidity on an open, accessible frame. From there it was on to Troplong Mondot, where there is such a dramatic change going on here, I wanted to follow up quickly after my recent visit in December. Director Aymeric de Gironde now has his 2018 blended (my previous tasting was of separate lots), and the results are as dramatic a shift as that initial tasting promised. No sulphur was added until after malolactic was complete, and a lighter hand was taken throughout the vinification in general, with the percentage of new oak dropped to 60 percent. The wine was coaxed gently through the élevage to this point, which de Gironde felt was affecting the wine's initial reticence in the glass. "We took such care protecting it from oxygen, especially after the late and low sulphur addition, that it has taken a long time for the wine to reveal itself," he says. But after a few minutes, the change in the glass is noticeable. The 2018 Château Troplong Mondot St.-Emilion evolves from a primal ball of slightly dark plum fruit to a range of brighter red fruit flavors flecked liberally with floral notes and backed by a distinct flinty minerality. There's a density that is in line with the vintage's overall profile, but the texture is incredibly silky. "The clay we have in our soils drank all that early water and allowed the vines to ripen slowly through the summer, without a maturity blockage during the drought. But I still decided to harvest early. We started Sept. 7 and we were 75 percent done in the first week. That decision was made to protect the freshness of the fruit and preserve the clean aromatics," says de Gironde. At Château Laroque there is just as much change going on. By being one of the two biggest estates in St.-Emilion, effecting any change at Laroque is a heavy lift. When the Beaumartin family owners tapped David Suire for the task in 2015, though, they made a smart choice. Suire has cut his teeth working on Beauséjour Duffau-Lagarosse and Larcis Ducasse with Nicolas Thienpont since 2002 (and he continues to work on those two estates). The 203-acre estate (with 151 acres under vine) is located east of the town, where the limestone plateau comes to an end, next door to Peter Sisseck's Château Rocheyron. A rare large, contiguous parcel in St.-Emilion, the vines cover both plateau and some slopes, with the classic limestone soil in one section, a chunk of brown and orange clay, and then slopes of yellow and white clay. Vines here are old, as the estate was replanted en masse following the frost of 1956. Suire has taken the more modern approach, breaking the vineyard down into smaller parcels, vinifying them separately and making a selection of three wines—just about 40 percent now goes to the grand vin, which is aged in a mix of barrel and wood vat to focus on the fruit. The 2018 Château Laroque St.-Emilion is a 97/3 Merlot and Cabernet Franc blend. It has some power—a function of the darker clay soil portion—giving it a warm feel to its well of thick plum and blackberry sauce flavors. It's just lightly toasted around the edges and offers a nicely rounded feel overall, with a subtle chalky spine peeking through the finish. Gone are the gutsy ganache and mulled spice notes of previous vintages such as 2010 and '12, replaced with an increasing sense of freshness that began with the '15 and '16 vintages, without sacrificing aging potential. Retail price on the 2016 was just $30. Folks, you may want to add this to your shopping list. It's always fun to taste in a garage. It's even more fun to taste in the garage. Valandraud is where the garagiste movement began, and Jean-Luc Thunevin is still humming along, consulting for a wheelbarrow full of estates while working with his longtime partner, Murielle, on his own wines. "Such a crazy year," says the mild-mannered Thunvein, touching his brow to pantomime shock. "But in the end we have richness with tenson and freshness. We could pick whenever we wanted, for any style. It's a bit of '09 and '10 and a bit of '15 and '16. I've never seen a year this crazy." 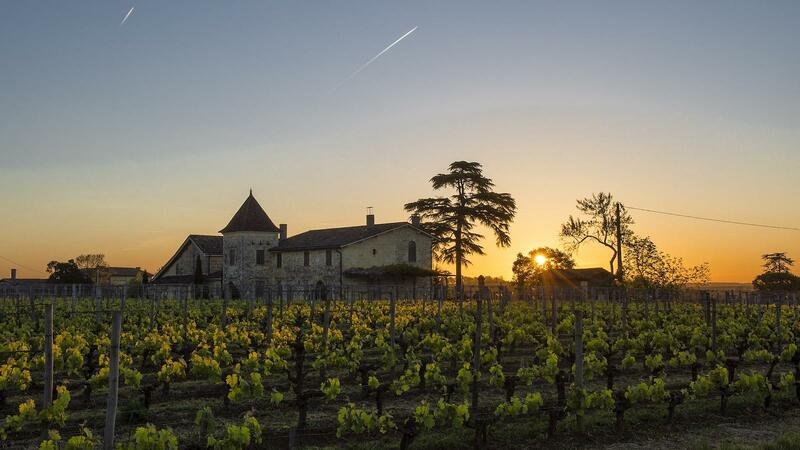 A couple of noteworthy new clients in Thunevin's stable include Trimoulet; the 2018 Château Trimoulet St.-Emilion offers intense plum sauce and fig fruit flavors with a solidly toasty and grippy back end. There's also Le Moulin, a Pomerol from a tiny 3.7-acre parcel; the 2018 Château Le Moulin Pomerol is soft and very alluring in feel, with plum cake, pudding and smoke notes. The 2018 Château d'Uza Graves is a rare Left Bank consulting gig for Thunevin, with its 90/10 Cabernet Sauvignon and Merlot blend showing an intense and muscular tar, dark earth, licorice root and steeped currant profile. As for Thunevin's own wine, the 2018 Valandraud St.-Emilion drips with fruit, offering a range of raspberry and blackberry compote flavors that are lush at first, but still juicy and very much alive as they move through the licorice snap and graphite-tinted finish. It's not as showy as it was in its early vintages—it's just a bit more reserved, but no less serious. Like the man himself. While the garagiste movement has come and gone, its original bad-boy instigator has adapted and changed, and perhaps even mellowed a bit along the way, while his wine is arguably better than ever—relying on purity and focus rather than just power. In addition, if the garagiste movement has left anything behind in St.-Emilion, it is the energy and desire for constant change and innovation. This Right Bank appellation has a groundswell of viticulturally progressive estates—Berliquet, Troplong Mondot, Beau-Séjour Bécot, La Dominique, Laroque, Bélair-Monange, Pavie and more. St.-Emilion's penchant for change might not make it the best AOC in Bordeaux, but it's easily the most exciting.